Showing 29 articles from August 9, 2017. 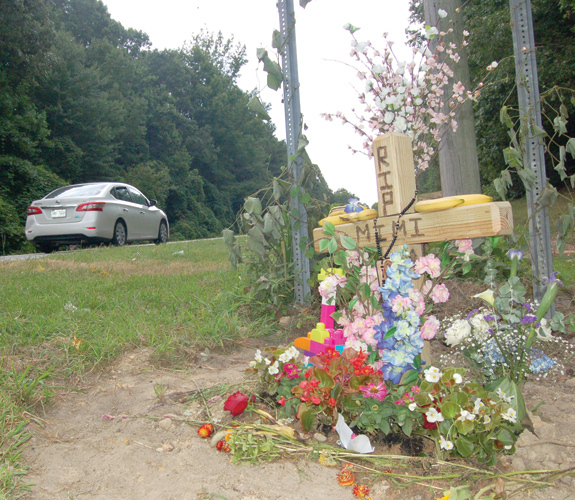 LOUISBURG -- A Raleigh woman is slated to appear in court next month to face charges for her role in a three-vehicle wreck that killed a toddler. The State Highway Patrol continues to investigate the Aug. 4 accident that may have been sparked by road rage. As of press time, Samar Ferd Jurdi, 20, was charged with driving while impaired and no operator's license. "We're still gathering information," said Trooper P.L. 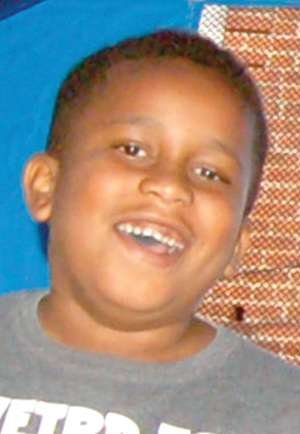 Clayton. 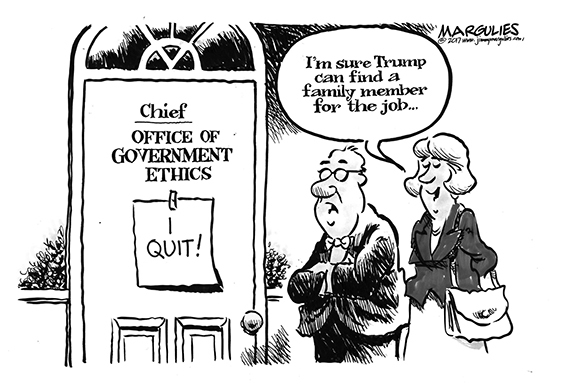 "We'll take what we have before the district attorney." 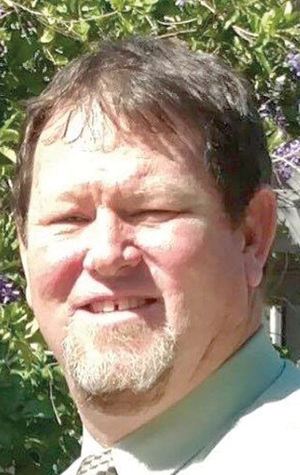 LOUISBURG -- Franklin County named its newest county department head, hiring a Florida man to oversee its public utilities department. Christopher Doherty was hired Monday night following a closed session to discuss a personnel matter. "It is with great optimism that I welcome Mr. Doherty to our team," said County Manager Angela Harris. 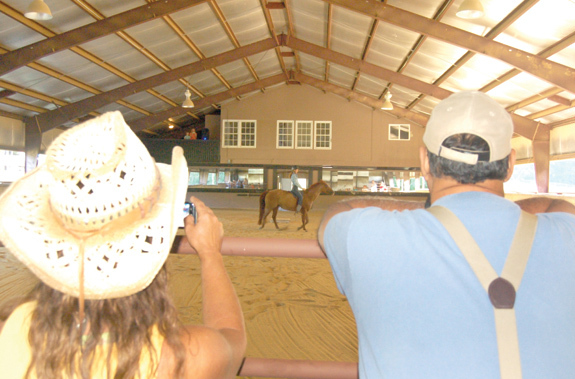 LOUISBURG -- For the past 22 years, the Franklin County Cooperative Extension has brought the equine industry together through its annual Horse Farm Tour. This past Friday, N.C. Horse Council Executive Director Sue Gray said there was no place she'd rather be. "I always love the opportunity to stand in front of a group of people who are most passionate about the animal I'm most passionate about; and that's my horses," Gray said during a luncheon that served as the culmination of the three-farm tour in Franklin County. The ongoing survey of historic architecture in Franklin County will be completed in the near future by Megan Funk, who recently joined Commonwealth Heritage Group in Tarboro as an architectural historian. 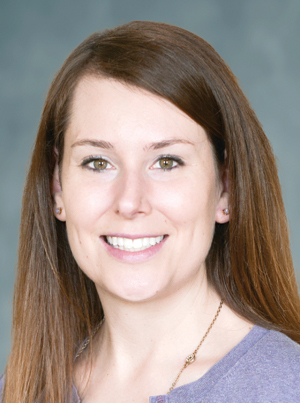 She replaces Dr. Jeroen van den Hurk, who has taken a teaching position in Rhode Island. A native of Kentucky, Funk in 2014 earned a M.S. degree in Historic Preservation from Clemson University and the College of Charleston. PILOT -- When asked how many of them knew someone who had an opioid addiction, a roomful of hands went up inside the Pilot Baptist Church Family Life Center. 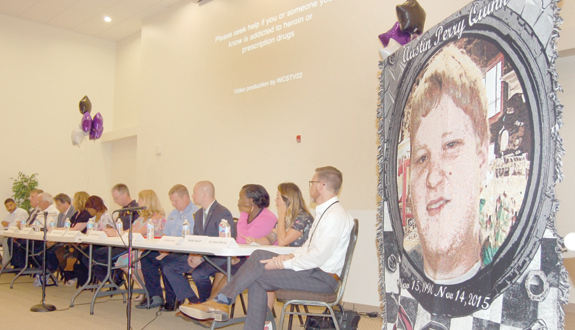 During Tuesday night's forum to raise awareness about the opioid crisis, just as many hands remained in the air when asked how many people know someone who has died as a result of addiction. If paid is cheaper than 'free,' the litter may linger! A letter to the editor in last week's edition touched a sore spot -- and then rubbed salt in that wound by explaining how the state has decided to once again duck its duties. The very articulate letter came from Betty Edwards and referenced the disgusting problem of litter we seem unable to solve here in Franklin County. She explained that our beloved state -- actually the state Department of Transportation -- has stopped cleaning up the highways with inmate labor. The advent of smart cars on our nation's highways is predicted to be just a few years away. Although it's probably difficult for most of us to imagine how a computer can drive a vehicle on our complex system of highways, it likely could prove preferable to putting a human being behind the wheel. Certainly it would be preferable if the human being is distracted, under the influence of something -- or is just angry at the world and looking to take it out on someone. I was driving home from an early morning run, so I needed to grab a shower, change clothes and get ready for my morning commute to work. It was no different than the hundreds of days I've done the same thing over the past nine years. But this time, instead of hitting smooth sailing along the Durham Freeway, I was greeted by road construction and, you guessed it, backed up commuter traffic. LOUISBURG--George "G.W." Walter Leonard, 60, of Louisburg died Wednesday, Aug. 9, 2017 at Louisburg Nursing Center. FREDERICKSBURG, VA-- Thea Burges Dean, 85, died Wednesday, Aug. 2, 2017 at her daughter's home in Fredericksburg. A memorial service was held Saturday, Aug. 5, at Strickland Funeral Home in Louisburg. Interment was private. LOUISBURG -- While Louisburg College women's soccer coach Andy Stokes prefers to keep a broad focus on his recruiting approach, he's always quick to accept a player from a tradition-rich high school program. 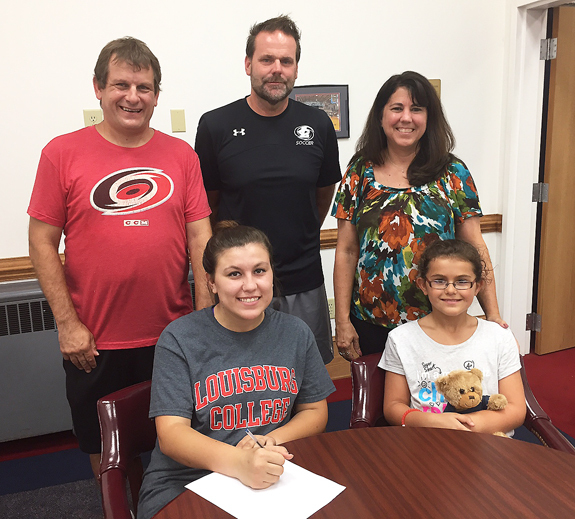 As such, Stokes was thrilled last week when former Corinth Holders High School standout keeper Rachel Witkin signed a letter-of-intent to continue her career this fall with the Lady Hurricanes. STAYIN' ALIVE. 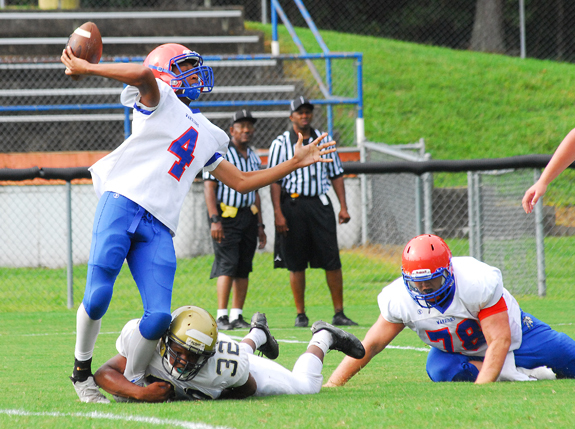 Louisburg High School quarterback Jaheim Brown (with ball) remains on his feet despite a Northern Vance tackle attempt during Wednesday morning's scrimmage action at Patterson Field. LOUISBURG -- After nearly two weeks of banging up on each other, members of the Louisburg High School football squad couldn't wait to tangle with some real opponents during Wednesday's home scrimmage session. As part of the event, Louisburg undertook half-field series on offense and defense against foes Nash Central, Southern Vance and Northern Vance. Both Southern and Northern will be among Louisburg's opponents this fall in the revamped Northern Carolina Conference, while Nash Central is guided by former LHS skipper Chris Lee. FACING HIS ALMA MATER. Southeast Raleigh head football coach Daniel Finn and his Bulldogs will tangle with Franklinton on the gridiron this season. Finn was a quarterback at Franklinton during his playing days. FRANKLINTON -- The school's location, football field and employee list may be completely different, but a return to Franklinton will be special for Daniel Finn. 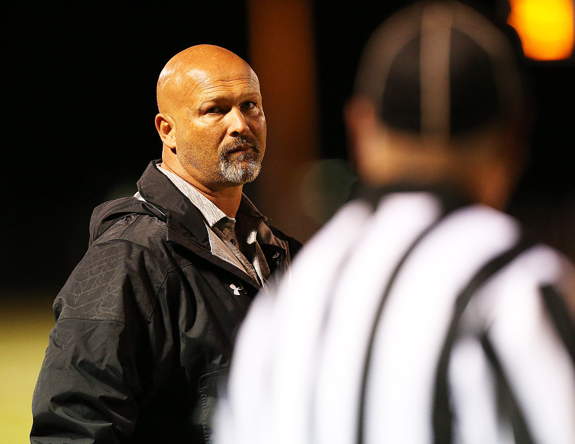 Finn, a 1992 FHS graduate and former football standout, matured into a head coach with stops at D.H. Conley, South Brunswick and Southeast Raleigh (on two different occasions). Now back at Southeast for his second season after a brief hiatus at the coast, Finn has always tried to get Franklinton on his club's schedule -- with no success. STANHOPE -- Regular season success clashed with playoff glory when the Big East Conference football coaches convened for their annual preseason poll as part of the league's annual Media Day on Tuesday at Southern Nash High School. When predicting a preseason favorite in the Big East, coaches pondered whether Southern Nash's regular season championship could trump Rocky Mount's journey toward a state playoff runner-up finish. FRANKLIN COUNTY -- Franklin County's high school football teams will all be in action this weekend as part of preseason jamboree events. Bunn will be the only club at home as the Wildcats will host a jamboree this Friday at the BHS Football Field. Bunn will tangle with North Johnston at 7 p.m. as part of the six-team jamboree scrimmage. WINSTON-SALEM -- Monte Harrison went 2-for-3 with a run and a double, but the homestanding Carolina Mudcats were held to just one run overall and four hits by Hector Perez and Sebastian Kessay of the visiting Astros in a 9-1 series finale loss to Buies Creek on Sunday afternoon in a Class A Carolina League baseball showdown at Five County Stadium. Perez (6-4, 2.73) struck out six and scattered three hits over six scoreless innings for the Astros (66-47, 29-14). FRANKLINTON -- Franklinton High School's 2017 volleyball campaign will begin with a toughie as the Lady Rams will host perennial powerhouse South Granville next Wednesday at the FHS Gymnasium. The schools have been long-time league rivals, but this will now be a non-conference match as Franklinton has moved up to the Class 3-A Big East Conference, while South Granville will remain in the Class 2-A Northern Carolina Conference. Tickets are now on sale for Louisburg College's 60th Allen de Hart Concert Series, which will feature a variety of performances ranging from timeless R & B tunes and Broadway hits to a holiday symphony orchestra and a beach music show. 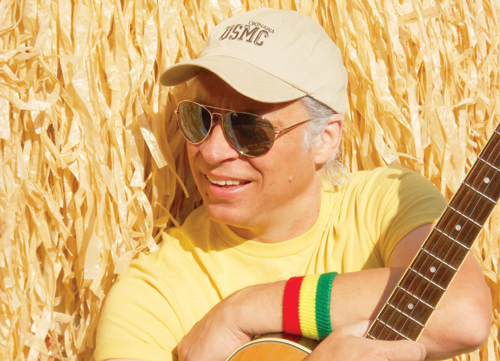 The season opens on Saturday, Aug. 19, with "Bluffett: A Tribute to Jimmy Buffett." Showcasing the eight-member "Son of a Sailor Band," Bluffett features beach-style props, conga lines, and spot-on vocals that will have you believe you are in "Margaritaville." 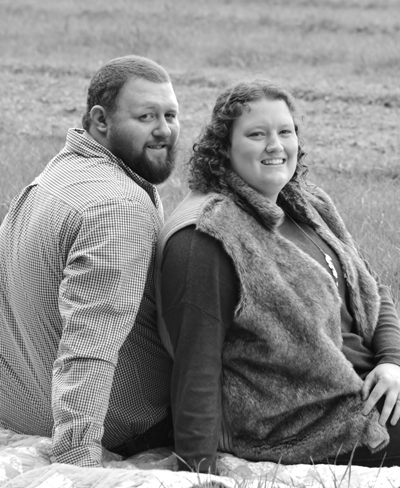 Reba Goff Etheridge of Black Creek announces the engagement of her daughter, Amanda Evelyn Etheridge of Wilson, to Justin Wade Frazier of White Level, the son of Amy Bailey Narron of White Level and Wade Kirby Frazier of Louisburg. He is the stepson of Thomas Linwood Narron. The bride-elect is also the daughter of the late Michael Anthony Etheridge. LOUISBURG -- Police and fire officials are investigating an early morning blaze that destroyed a Louisburg home. According to Louisburg Assistant Fire Chief Russell Bottoms, a firefighter at the station stepped outside at about 7:30 a.m. on Tuesday and saw a cloud of smoke coming from the area of Tanglewood Drive. LOUISBURG -- Town police are investigating the second break-in at a financial institution within a week. On Aug. 1, representatives with the State Employees Credit Union reported that someone broke into the building on Burke Boulevard, gaining entry through a window. TIMES ... 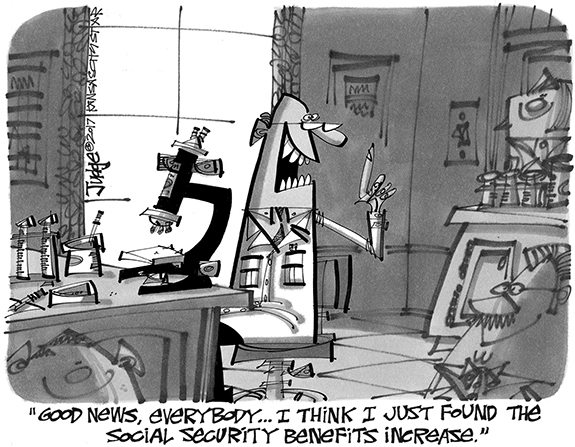 THEY ARE A CHANGIN'! In case you hadn't noticed, there are a lot of changes happening around Franklin County -- and few more significant than the one shown here. 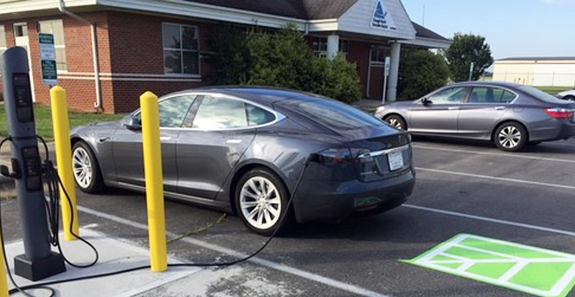 This is a new "charging station" for electric vehicles that is now operating at the Triangle North (Franklin County) Airport. This is one of the first such public stations in the county, but several more are planned, including five in Louisburg alone. Drivers can just pull up, plug in and when they return to their vehicle, it will have a new "tank" of fuel in the form of electricity. It's not your father's "filling station" anymore! FRANKLIN COUNTY -- Local and state agents teamed up this past week to stop convenience stores from making illegal sales. The Franklinton Police Department joined up with State Alcohol Law Enforcement agents, Franklin County sheriff's deputies, and Louisburg police to target stores in Franklin County that sale alcohol. During the operation, officers and agents surveilled businesses looking for violations of alcohol licenses by businesses and customers. The North Carolina Commission of Indian Affairs will hold its first Teen Summit Conference Aug. 20-22 in Pine Knoll Shores. The conference is to provide American Indian youth with information and resources regarding the prevention of dating violence, domestic/family violence, sexual violence and elder abuse. Participants will be able to take these resources and use them within their communities. 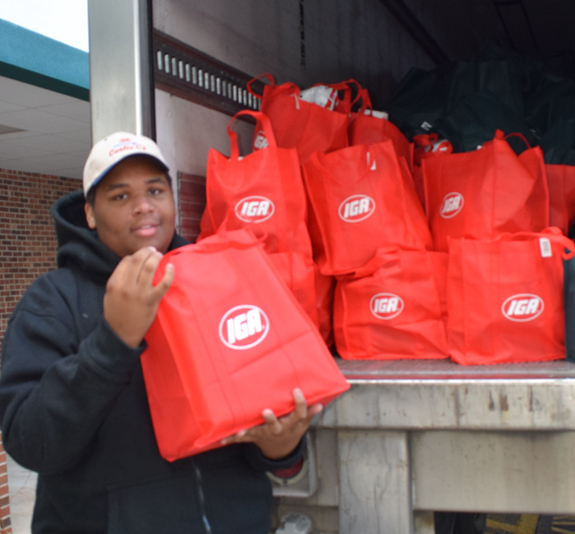 In the photo above, George Mayo proved to be one of the most popular young men in town as he handed out free bags of groceries to some of the store's first customers. 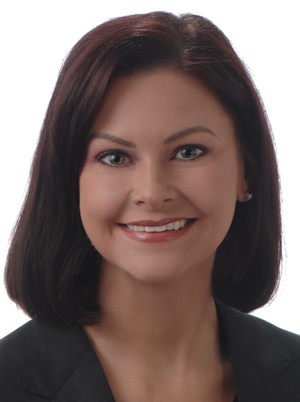 Franklin County native Jennifer Jones has been named a Partner at Grant Thornton LLP. Headquartered in Chicago, with both national and international offices, Grant Thornton is the fifth largest public accounting firm in the world. As partner, Jennifer will lead the Special Attestation Reporting Practice for the North Carolina, South Carolina, Maryland, Virginia, and Washington D.C. regions.